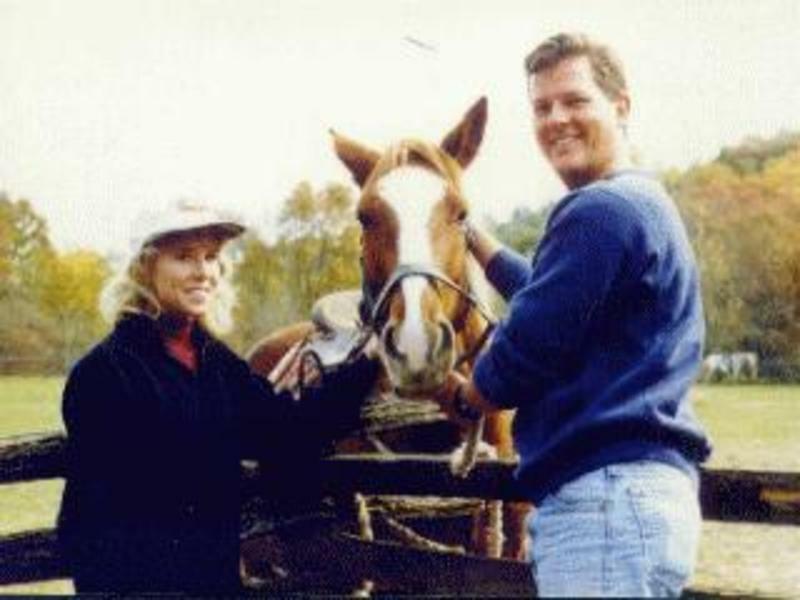 Horses are beautiful, strong, majestic creatures, and horseback riding in the Smoky Mountains of North Carolina is nothing less than awe inspiring. Take a journey back in time and enjoy the Smoky Mountains in a way most people never have the chance to experience. Spend your vacation in a comfortable cabin or at a luxury mountain resort where you can find any number of activities including swimming, hiking, mountain biking, and more. 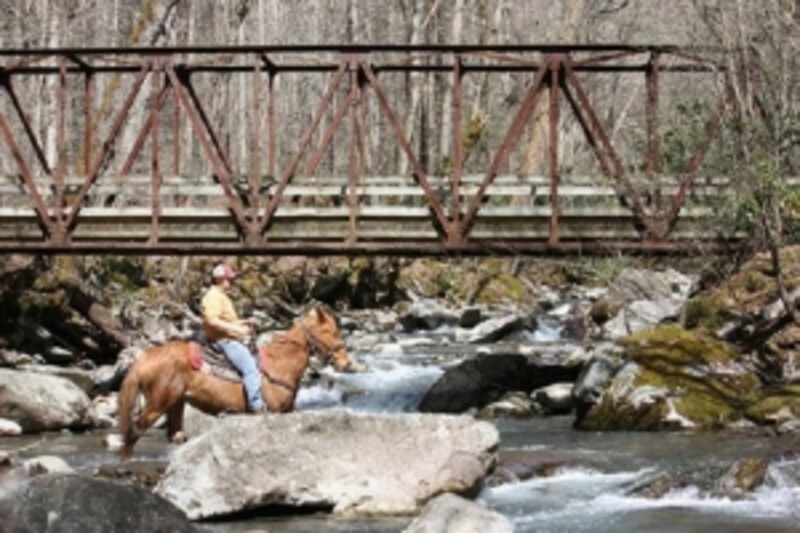 Horseback riding in the Smoky Mountains of North Carolina takes place on a variety of terrains and amazing trails. Riders of all levels are welcome. Make your next trip unforgettable here in the Smokies. Escape the city and get away to mountain majesty, come stay in your very own charming mountain cabin - at a refreshing 4,000 feet. Your secluded vacation cabin has a fireplace, 2 BR's/1 Bath, some have mountain views. Plus, there's a picnic area outside with a gas grill to cook those fresh mountain trout you just caught in the lake on "your" 200 acre estate. Arrowmont Stables has one of the best horse ride programs in the SE, maybe even the country. Before every trail ride, you are given a live demonstration or shown a video describing how the horses have been trained, a little about their personality and some about safety. Then you are given an opportunity to try your horse in the ring before going on the trail. This way your horse can be changed if needed before leaving for the trail. This takes about 30-45 minutes and is free of charge. We believe it is important.Your entire family can have fun going on a hayride. Tour this beautiful mountain for about an hour. Plus, stop for a refreshing drink of some apple cider on your way back to the stables.There's plenty to do to keep you busy...horse rides, trout fishing, hiking, camping, hay rides, vacation cabins and those ever popular campfire stories or just relax and enjoy the views!CALL (800)682-1092 TODAY TO RESERVE YOUR SPECIAL TIME!! Year-round fun. Excitement for all experience levels. National forest trails. Varying terrain and length. 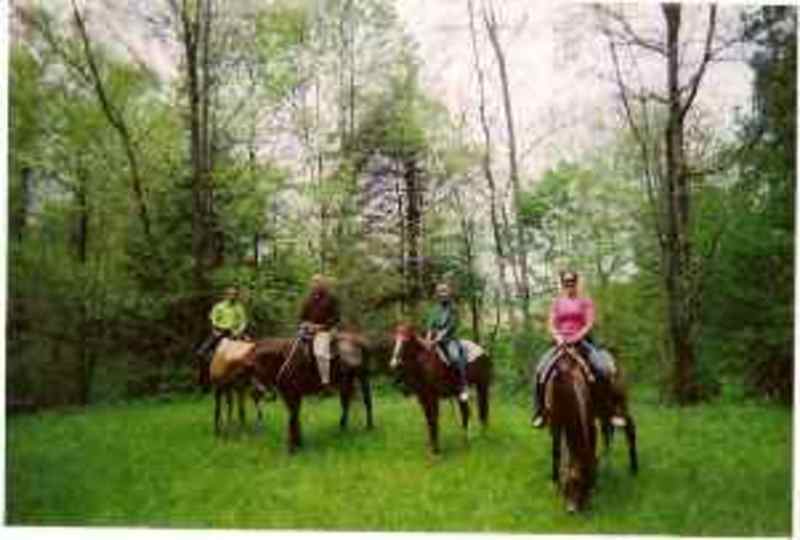 Authorized NPS Concessioner offering guided horseback riding within the Great Smoky Mountains National Park.